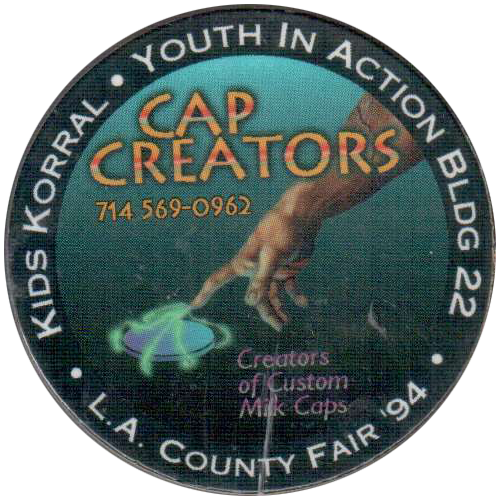 Info:This cap appears to be a promotional cap given away at the Los Angeles County Fair in 1994. It advertises a custom milk cap creation service. This may be the only cap in this set. 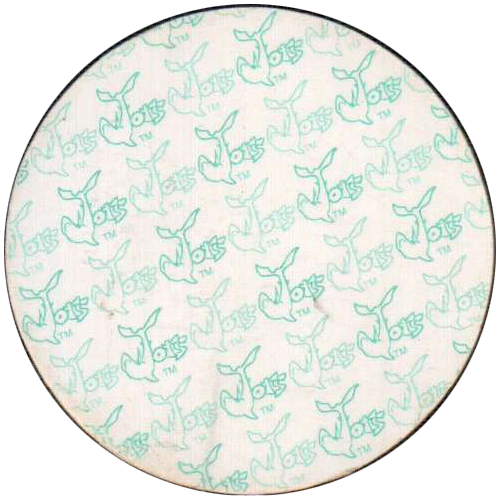 The back is a repeating pattern of the Jots logo, printed in green.